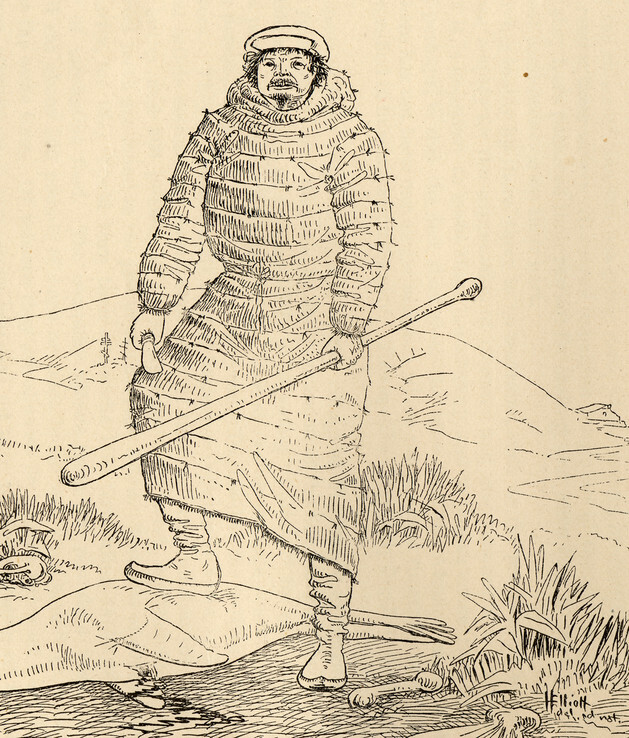 Unangax seal hunter wearing a gut parka and boots, holding a knife and club. Pribilof Island, circa 1874. From The Seal Islands of Alaska by Henry Wood Elliott, 1881, pl. XII.